Okay, okay – while there’s a very strong possibility that Samsung will unveil the latest adddition to its Galaxy range of smartphones at this year’s Mobile World Conference in late February, before the Galaxy S8 sees the light of day, the Korean tech giant is clearly keen on squeezing out the last bit of profitability it can get from the Galaxy S7 and S7 Edge. 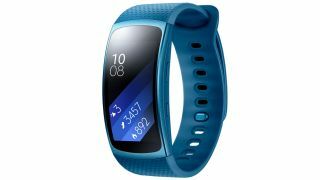 To that effect, Samsung’s offering up the Gear Fit 2 – that retails for $289 – for free with every S7 or S7 Edge sold in Australia until March 28. All you need to do is purchase either of the phones from any participating retailer, either online or in store – including all three major network carriers (Telstra, Vodafone and Optus are offering this deal on their 24-month plans) – then redeem via the Samsung website. If you’ve been considering getting yourself a new phone, the Galaxy S7 or the S7 Edge are still both great options, although with around 6 weeks to go before MWC, we’d definitely be tempted to wait for Samsung’s next flagship phone to be revealed. Head to Samsung’s website for more details and the full terms and conditions of the offer. Want to know more about the Gear Fit 2? Here’s how highly we rate the wearable.